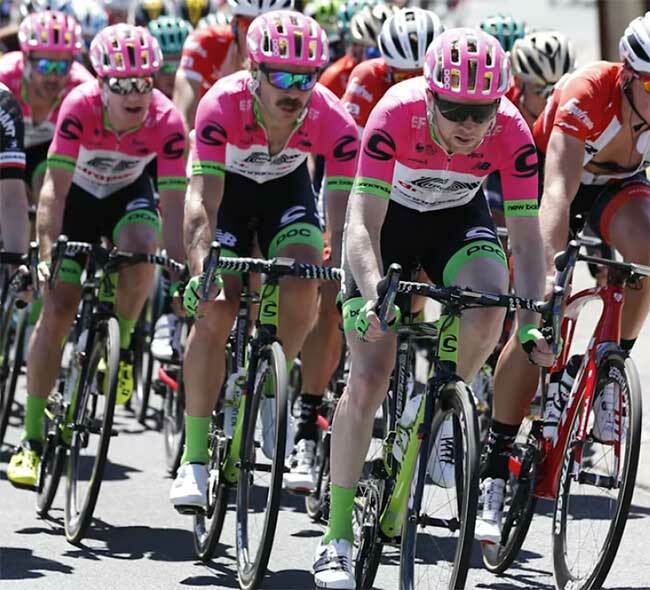 Cannondale is one of the top bike manufacturers in the world, and their flagship Cannondale SuperSix EVO provides everything you except from a world-class racing bike. 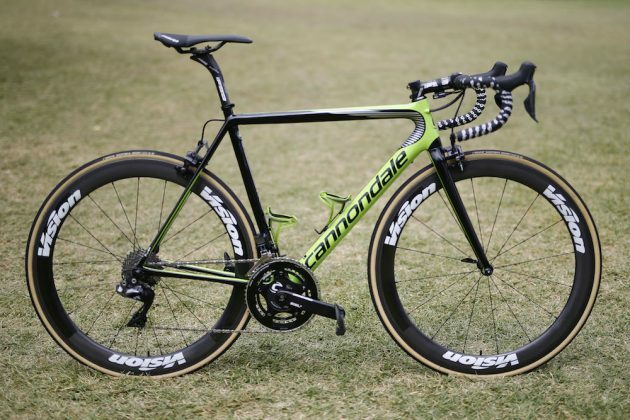 The SuperSix EVO is Cannondale's flagship all-round race bike, and the bike of choice for Lawson Craddock at the EF Education First Drapec Team. The Tour bike is a top of the line machine is a Dura-Ace gem which not all of us can fit in our life, but this $2000 105 model is a true carbon race bike well within reach. The Drapec team bike is one you can get yourself. The availability of true pro race bikes to the general public was pioneered by Trek during the USPS/Discovery run of Tour victories. Visit us to test ride a bike in this line. Meanwhile, for the regular people, we have a fully capable, race-ready human version. It shares many of the highlights of its Dura-Ace HiMod big brother, like bottom bracket, fork components, Mavic hubs, and BallisTec carbon. The 11 speed Shimano 105 group is a decades proven workhorse drivetrain. You get a true race bike for just $1999.99! Come in and ride one. As Cannondale’s flagship bike, SuperSix EVO is a high performance pro touring bike with superior features not often found on similarly priced touring models. Expect a stiff lightweight ride and classic design - if you prefer modern modern aesthetics, check out the Pinarello Dogma F10 instead. High quality carbon frameset with round tubes creating a classic old school design, with reduced frontal areas to save weight and increase speed. Speed Save Micro-Suspension greatly helps in acceleration and controlling traction, thus providing great efficiency for the SuperSix EVO rider. Shimano 105 groupsets: a recognized powerhouse in the cycling industry, these components maximize pedalling power for optimal performance and speed. Interested in any of the SuperSix EVO variants? Reach out to us for more details, or visit our shop so we can assist you. Versatility: the SuperSix EVO is a great choice for a wide array of terrains, although it obviously performs best on a plain road. Lightweight: the lighter weight makes this a super speedy bike with precise controls and impressive handling. Super-stiff: if you are looking for a casual cruising bike, the super-stiff frame might be off-putting. However on longer rides, the stiffness provides extremely precise control that will let you accelerate in eye-popping bursts, even when powering up hills! 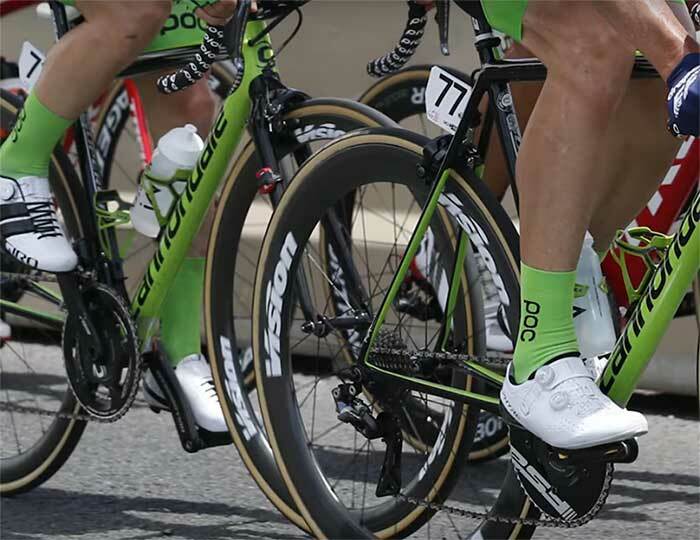 The Cannondale the SuperSix EVO is a stellar lightweight road bike with optimal stiffness and solid aerodynamics, with the classic simplicity of rim brakes (easy to maintain). To take the Cannondale SuperSix EVO for a test ride, simply visit our Austin or Fort Worth shops: our expert staff will walk you through the options and help you make the best buying decision for your needs.